Wow! August is here already? 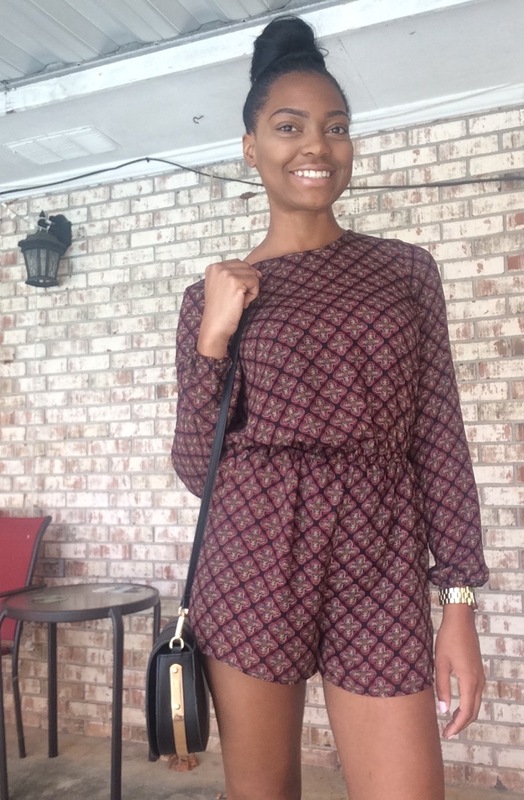 Rompers are definitely an essential being that you can just throw one on and look put together with minimal effort! I chose this beautifully printed romper from Forever 21. Next on the list is a cross body bag. A cross body bag is perfect for money, keys, phone, and lip stick...BAM! Thats really all you need anyway. No need to carry around a big hobo today because you're probably going to be engaging in some type of fun, action-filled activity! Finally, What would a FUNday be without FUN shoes??? I chose my gladiator sandals from It's Fashion and they added an instant edge to my outfit! Hope you all enjoy your Sunday!!! What are you doing for Sunday Funday??? ?